Placemaking Plus invites you to brainstorm and participate in the Place Game E/G neighborhood. The question we will address is: How do we change the E/G neighborhood from livable to lovable? 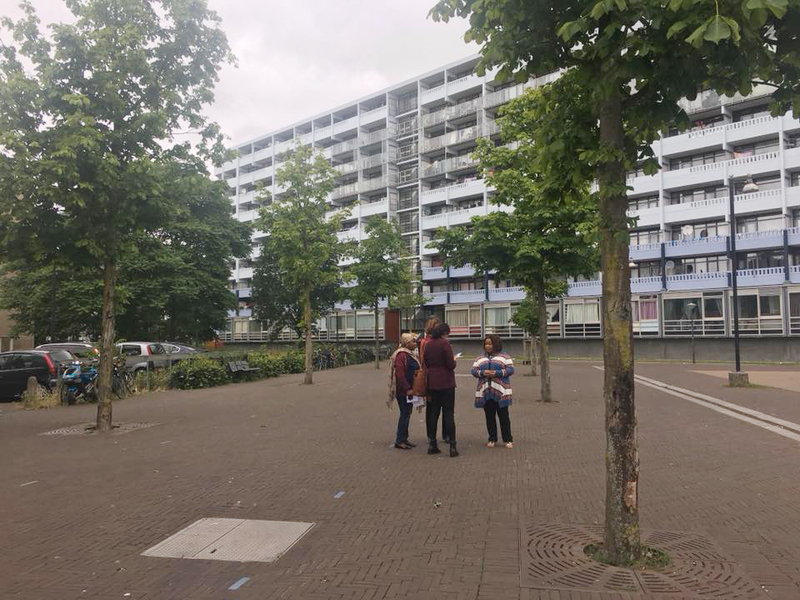 The E/G neighborhood in the Bijlmer-East is a dynamic multicultural neighborhood. The E/G neighborhood has been designated by the municipality as one that is to undergo development. As a result, in addition to regular assignments, the following spearheads were also mentioned as crucial to the neighborhood: improving the local economy, community building, stimulating entrepreneurship, and improving the quality of life in the neighbourhood. To achieve these goals the municipality has hired Placemaking Plus to work with the residents, local entrepreneurs, and other interested parties to change the neighborhood from livable to lovable. 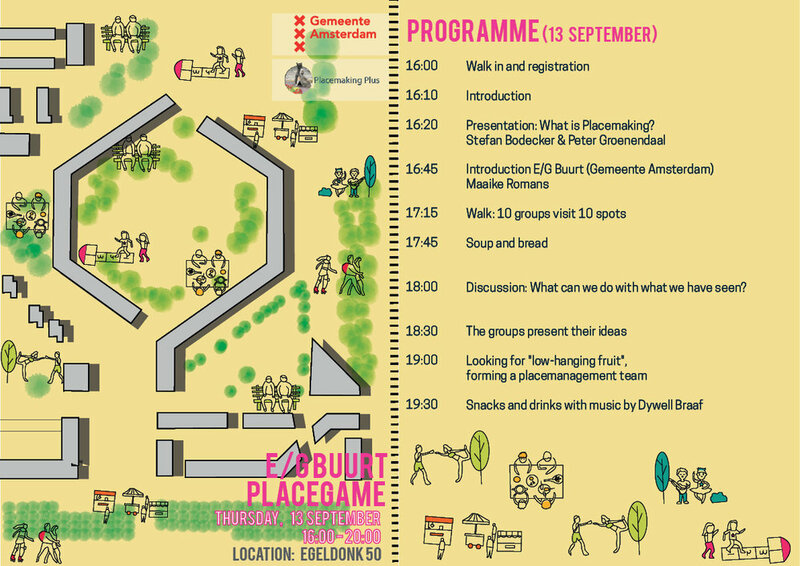 Why Placemaking in the E/G Buurt? What is a Place Game? We start the afternoon with a brief explanation on what Placemaking is. Following this, Maaike Romans from the municipality will tell us why we would like to do this in the E/G neighborhood. After this presentation we go outside in small groups and visit 10 different spots to make observations on what is good about it and what we can improve to make it a pleasant(er) place. Next, we go inside and discuss our ideas with the group. The Place Game is designed to bring out particular qualities of a place and the character or identity that the place possess or needs in order to become a more lovable place. You can find more information on the Place Game here. At the end of this session we ask local residents and entrepreneurs who would like to help, to form a Placemanagement Team. This placemanagement team will meet monthly to help realize the ideas from the neighborhood. What can you expect after the Place Game? Results of the Place Game are then converted to a report and a quick wins map. The report and the quick wins map guide the placemaking process, indicating what needs to be done where. The Quick wins are discussed first with the Placemanagement team and then carried forward physically in coalition with respective local partners. The community will come together to realize the short and long term ideas as discussed during the Place Game and subsequently in the placemanagement team meeting. The Place Game is a tool that helps us involve the community in generating ideas to activate a space.